The next day, woke up early, checked the Amex CC, and still no unknown charges, nor any payment to Babar. Strange. 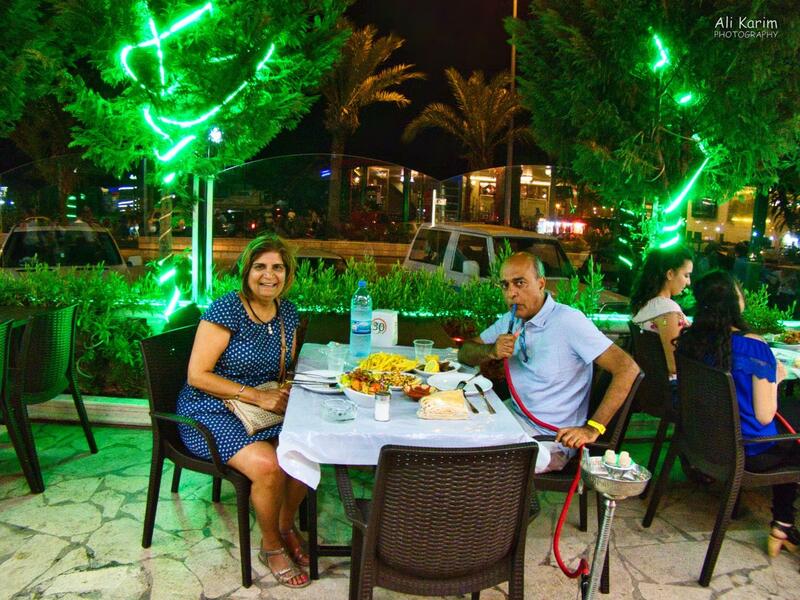 Had breakfast, checked out of the hotel, and then took an Uber to Rafik Hariri International airport, where I had booked a Budget car for our trip through Lebanon. Since it was relatively early (8AM), the traffic to the airport was light, and so we reached the airport quickly. We went to the Budget counter in the arrivals section of the airport, and since this was not North America, I had budgeted at least an hour to rent the car. Instead, I was very pleasantly surprised that everything was ready and the rental car counter person was expecting me. And the class of car I had booked (mid-size 3 door car) was indeed what was waiting for us. This was probably the easiest and most painless car rental experience I have had outside North America. The only thing that I could complain about was the gas in the car was only 7/8 full; minor issue. I set up the GPS on the local SIM card phone, and got Waze to direct up on the road to Tripoli. 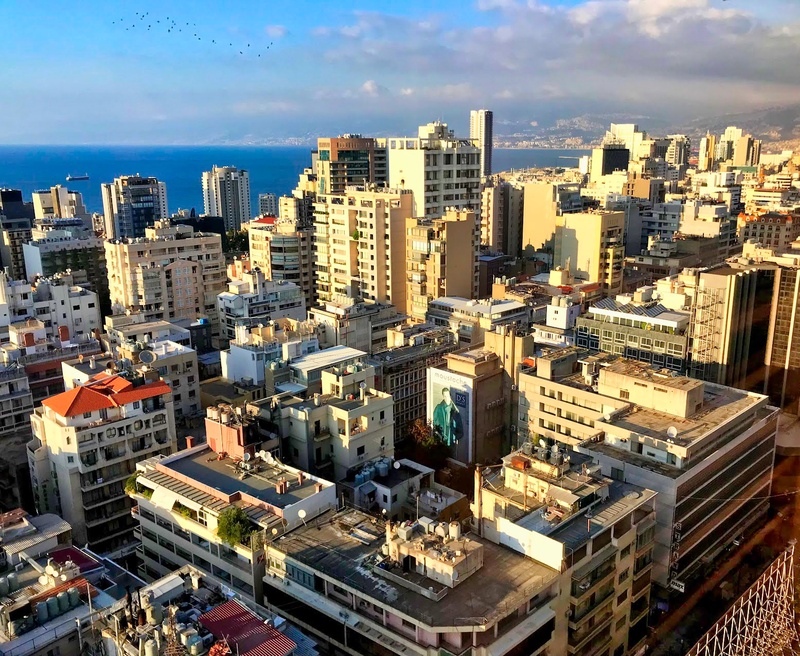 Tripoli is in northern Lebanon, and the airport is in south Beirut, so we had to drive through Beirut to get to the north. By this time, the traffic had started building up, so it took a little time to navigate through Beirut. 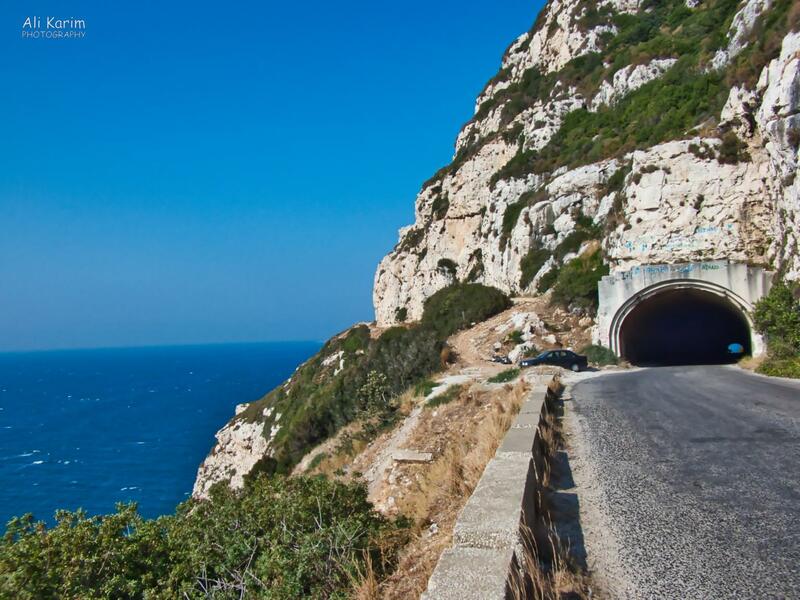 Plan was to drive north along the coastal road and check out Byblos, Amchit, some nature areas, followed by Batroun, Anfeh and finally Tripoli. 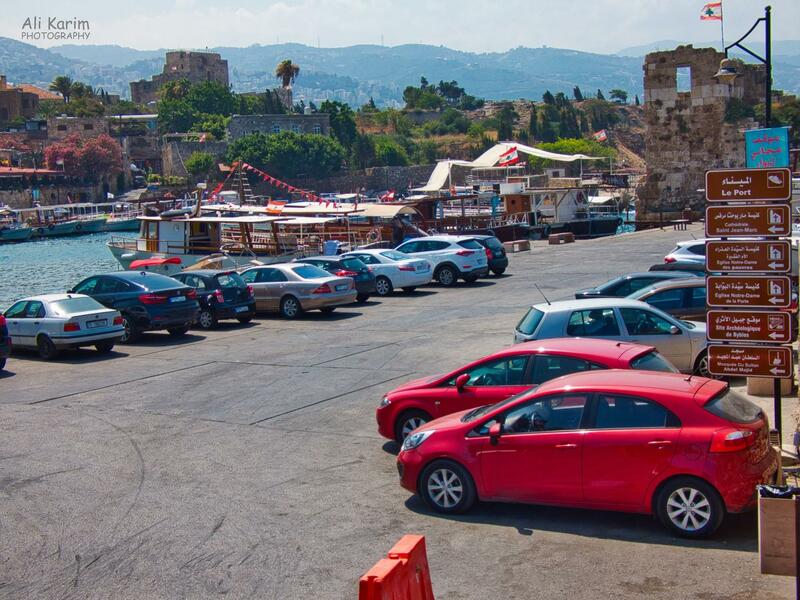 First stop was Byblos; the GPS navigation was taking us there, but there were no road signs for Byblos; instead , the GPS was taking us to road signs for Jbail; confusing until we figured out that the Arab name for Byblos was Jbail; Byblos being the Greek name given to this ancient city. 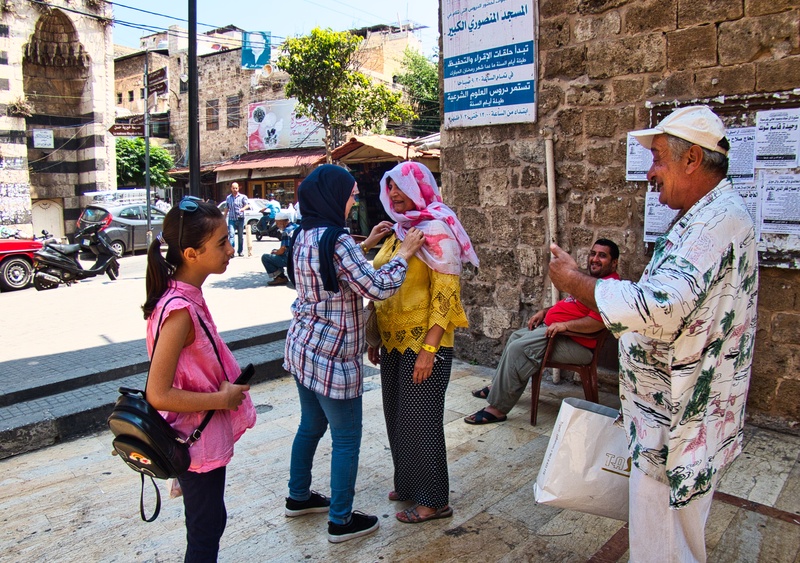 We came to find out that multiple Lebanese cities had such double names, and all places are not well signposted so travel is more difficult. 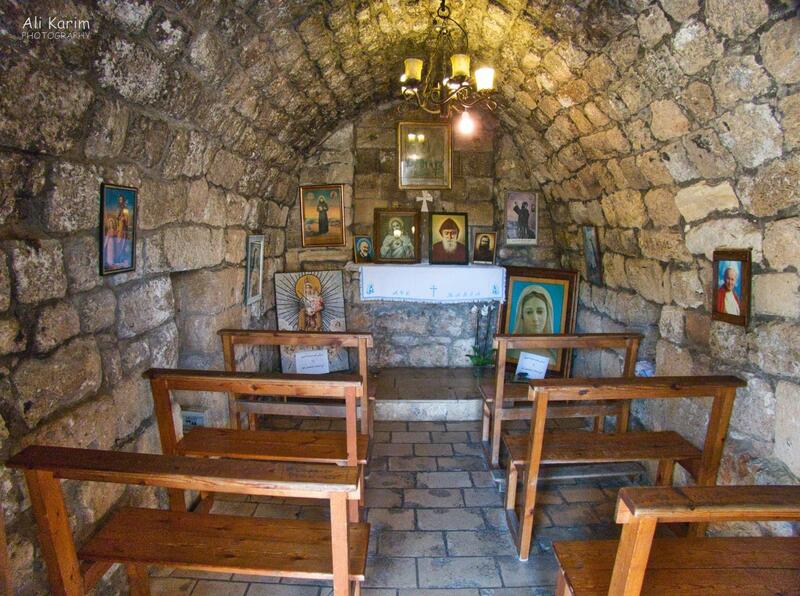 Smallest ancient church I have ever seen (Nossa Senhora Da Penna); seating for 12 . 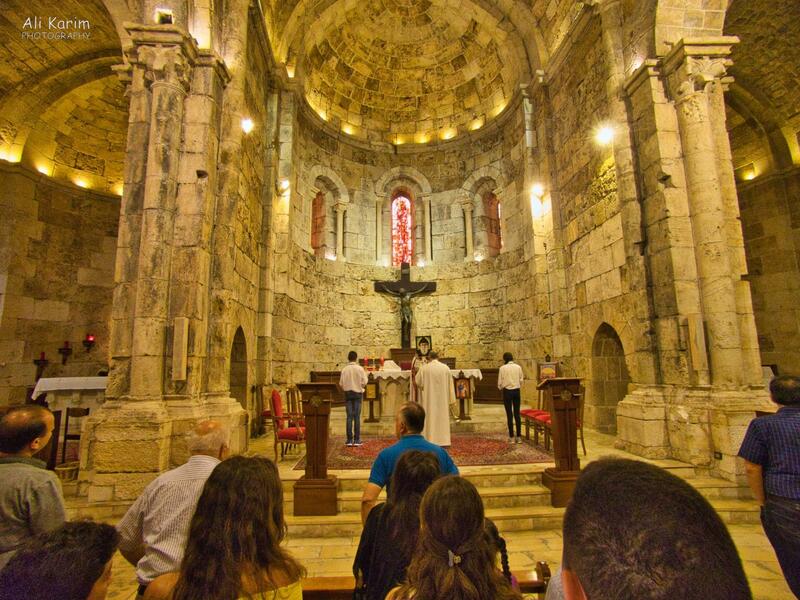 What I found strange during the priest’s sermon was that it was all in Arabic, and though it was a Christian church, I kept hearing words that I recognized from the Quran, like Allah etc. Confusing because I always associate Arabic with Islam, but Arabic language is also used in Arab Christian churches, and Allah still means god in either religion. 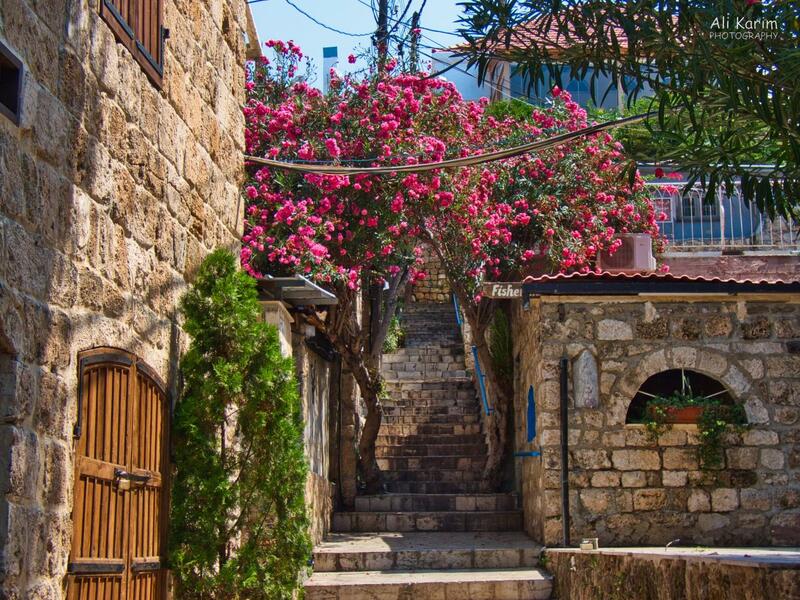 We then left Byblos, and drove to find Amchit, a small village, but it did not have much happening there. 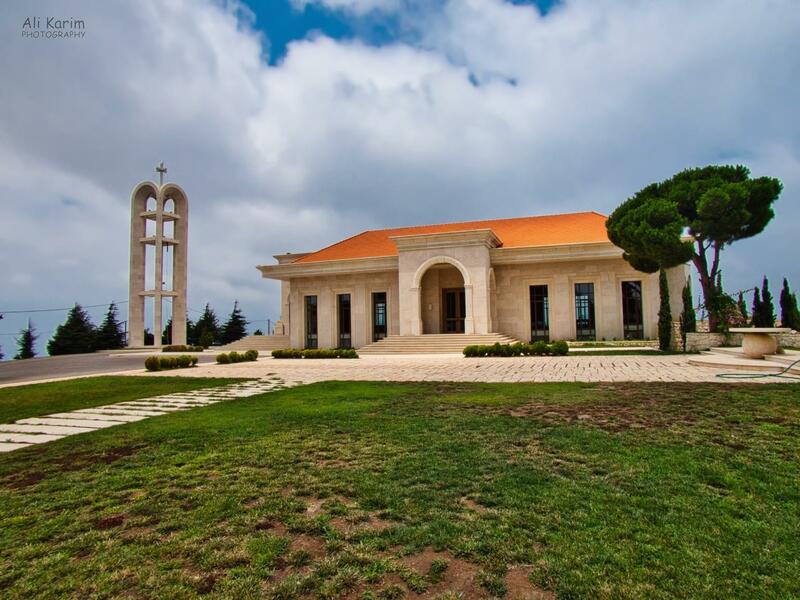 So we drove inland a little to the Bentael nature reserve and stopped at a beautiful church atop the highest hill in this area, the Mar Mema church. We drove towards the nature reserve and came across a family of 10 (2 parents and 8 kids) in a view spot lookout, that had come to this spot for a picnic in a battered old car, and had started a charcoal BBQ with chicken roasting on it. They gesture-invited us to join them (as no common language) but since we needed to reach Tripoli that evening with several stops on the way, we politely thanked them and declined. Another very nice gesture from complete strangers. 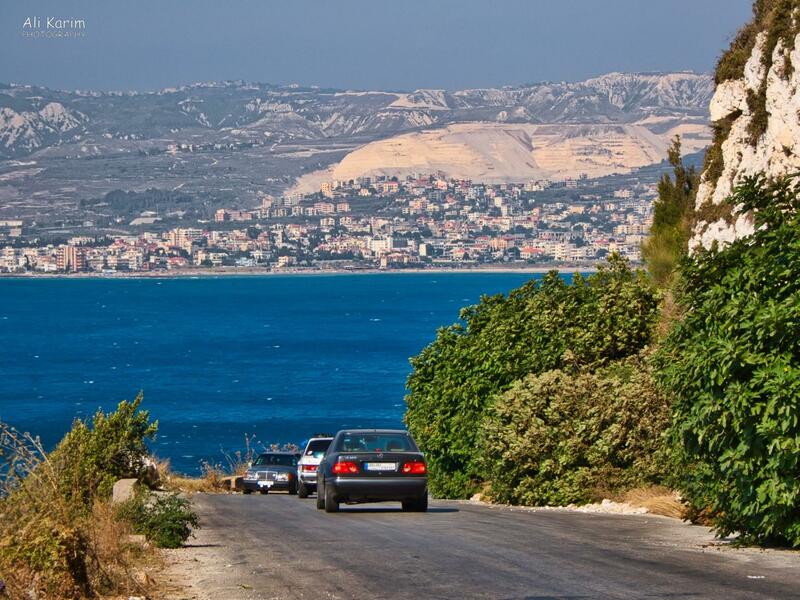 We got back to the coastal highway, and the next stop was Batroun. 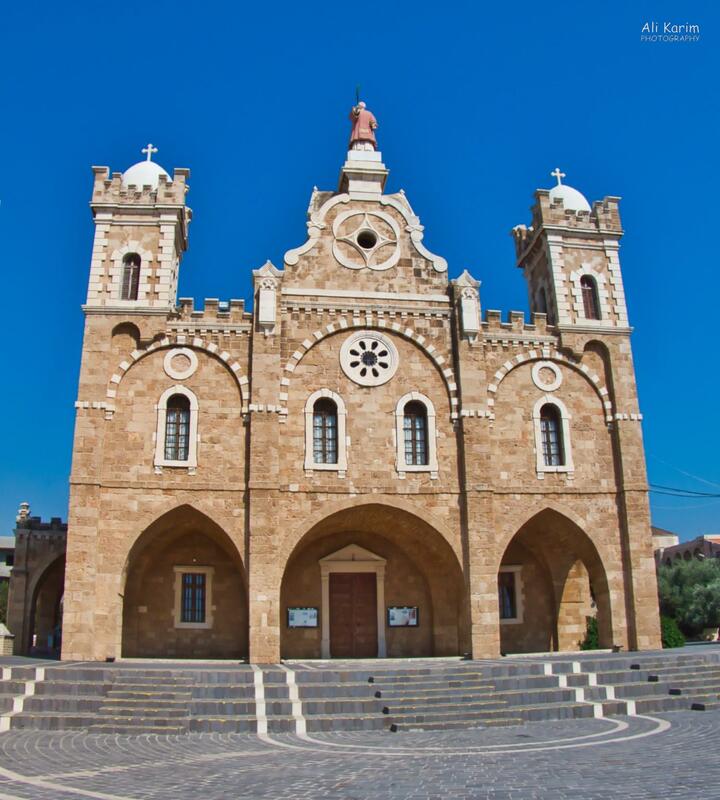 Batroun is another ancient city and has a few beautiful churches, and is known for its citrus fruits from the surrounding citrus groves Lemonade is famous here. 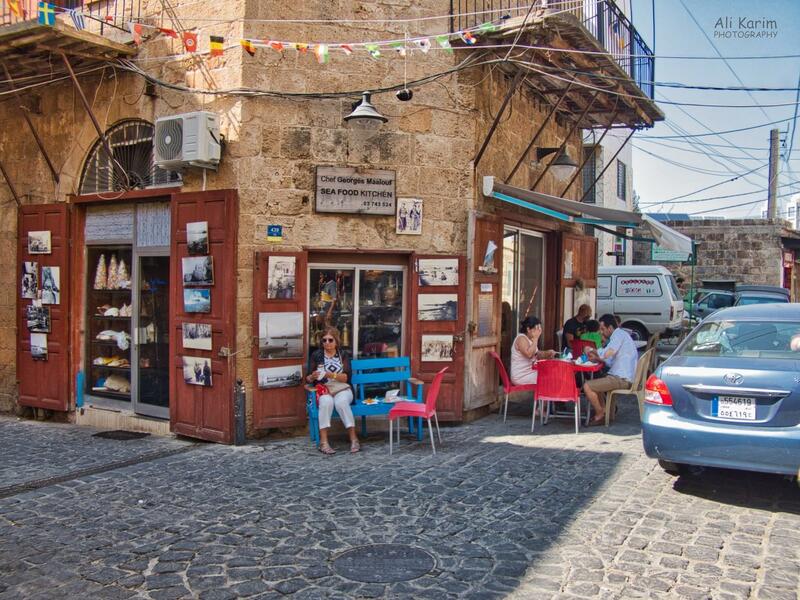 Below are some scenes of Batroun, as we explored here. 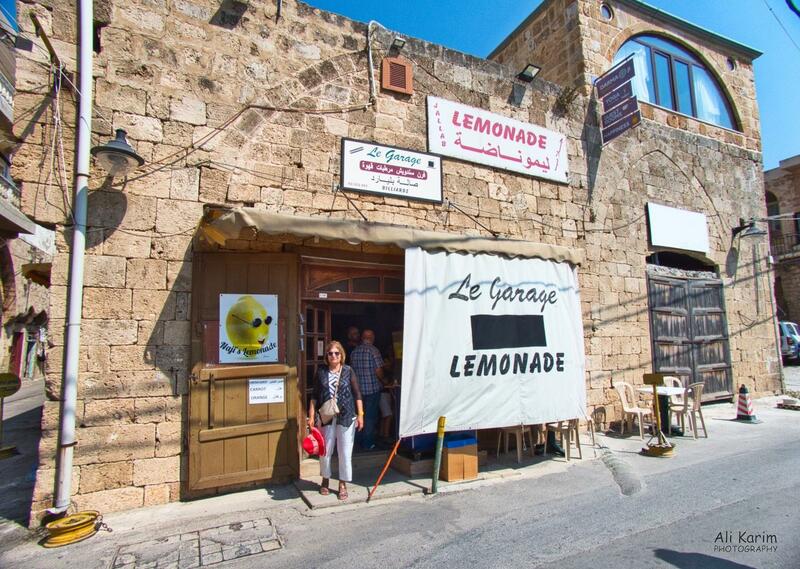 We stopped at Le Garage for their famous lemonade; this was a small family run restaurant, which was quiet that hot afternoon. 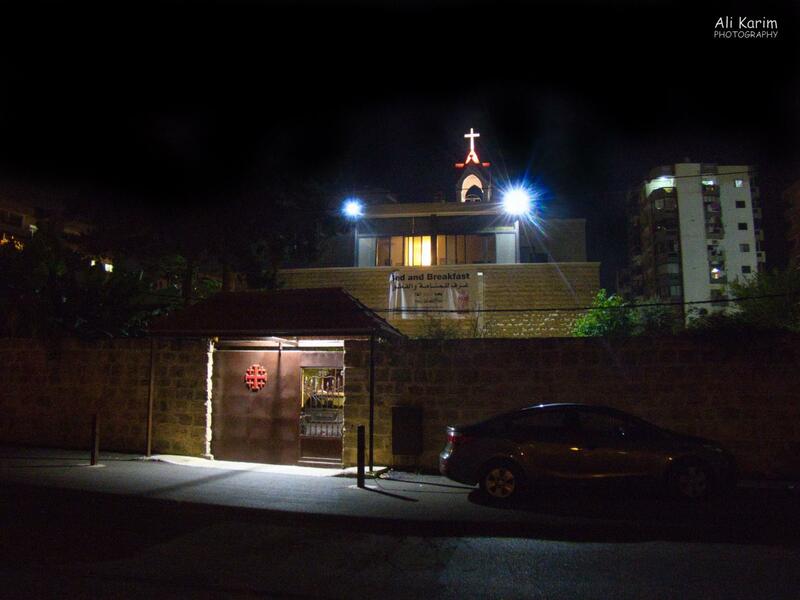 We talked with the owner and he explained that he was a Maronite Christian, and that John Maron had started this church many years ago in northern Syria, and that Maron had fled prosecution in Syria with his followers, to Lebanon, where there is a thriving Maronite population. Late lunch was at Chef Georges Seafood kitchen, recommended by the owner of Le Garage, where we had a couple of seafood pita sandwiches; very nice and delicious sandwiches. As we went back to our car, we came across several Ethiopian women, all wearing white headscarves, who told us that there were “too many” Ethiopians in Batroun, and that they were on their way to church, which happened to be the St George’s church we had been to earlier with the strange Chinese type music. We went with them and the church was now filled with Ethiopian women, every one of them wore the white scarf covering their hair. 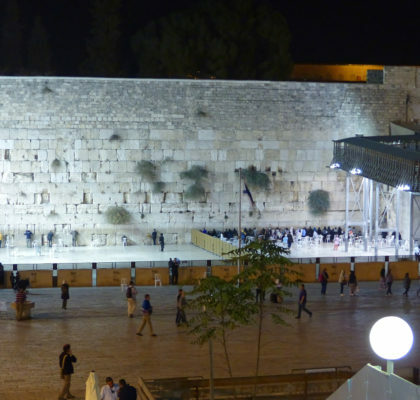 They had their service using an ancient Aramaic language with singing and drums. Very interesting. It was time to keep moving towards Tripoli. We got back onto the coastal highway. We drove into Tripoli, and onto the port area or El Mina. 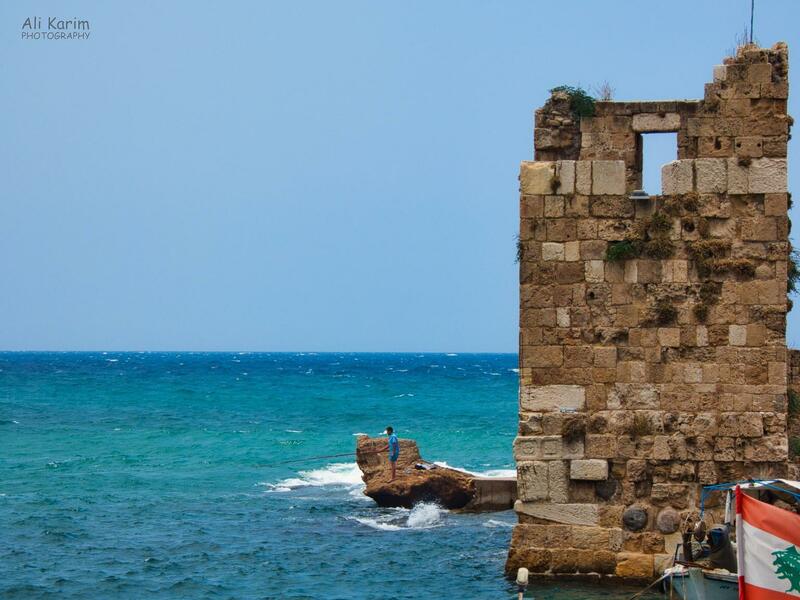 El-Mina is the site of the ancient city of Tripolis that dates back to the Phoenician era, and is one of Lebanon’s oldest cities, alongside Byblos, Tyre, and Sidon. 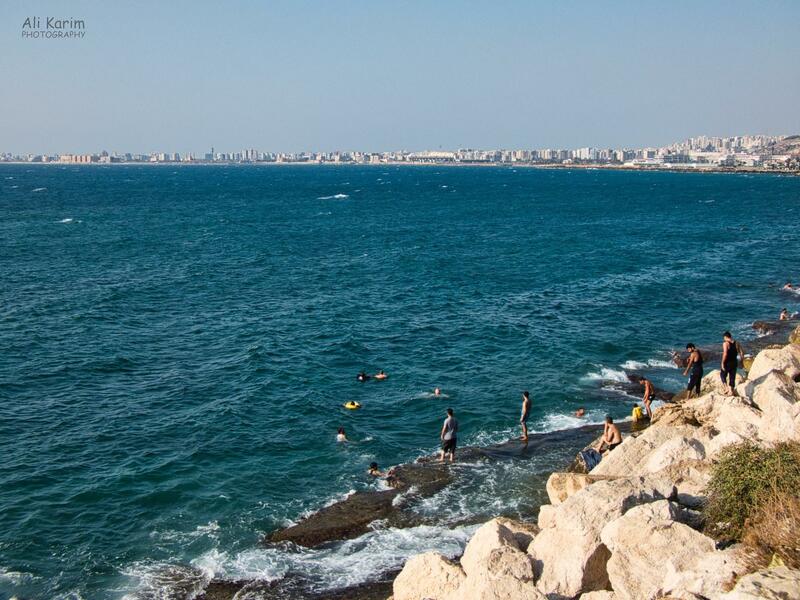 The site of Tripolis moved inland after the Islamic reconquest from the crusaders, and today’s El-Mina became the harbor district of greater Tripoli. We had booked to stay at the Saint Francis Convent, an 800 year old order. Apparently, they needed revenue and turned some of the rooms into guest houses. So we called Father Quirico and informed him we were close by. He gave us rough directions, and met us at the gates of the Convent. After checking into a basic room ($70 per night for 2 of us; accommodations are not cheap in Lebanon, because basic cost of living is high), he gave us a bit of a background on what to do and where to go for sightseeing and eating, and letting us know that after 10PM, we would have to call him to come from his home nearby to open the gates for us. 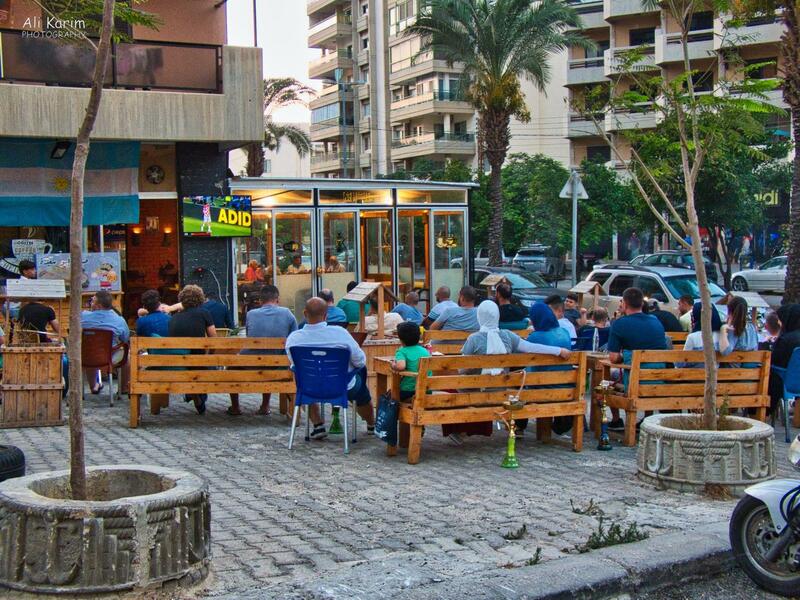 After freshening up, we walked over to the corniche area, passing several restaurants where they had put up outdoor screens to watch the world cup soccer; the Lebanese are quite into soccer. 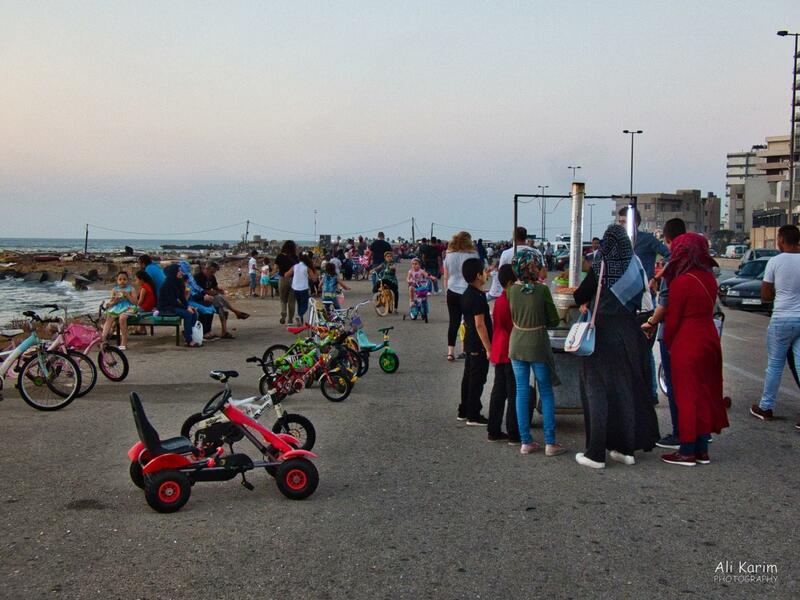 The corniche was quite a busy area with families and lots of people enjoying the evening and sunset. The corniche itself was clean, but the seawall area was littered with empty plastic water bottles and trash; another pity. 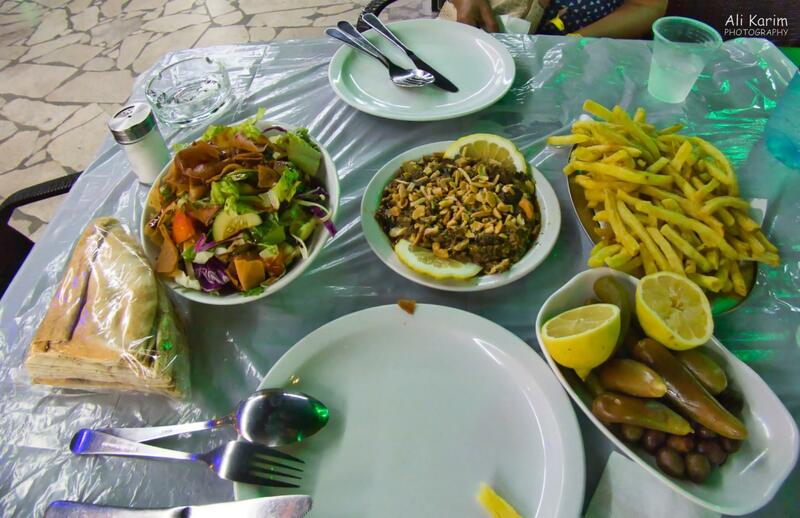 It was now getting dinner time, so we walked to the Al Nakheel Restaurant, facing the corniche for a seafood diner. The waiter spoke some English, and he wanted to practice so he was quite chatty. He said he was a refugee from Syria, from Eastern Ghouta area near Damascus that had seen brutal fighting a few months back. We returned to our Convent before our curfew, for a good night’s rest, after checking out the Amex CC status online. Still no strange charges, and still nothing from Babar. This is strange. Thx again, Ali! Enjoyed your write-up and pictures. Look forward to the next segment. My wife and I plan to be in Dallas sometime next week to visit a friend who is not well..enroute to Houston. If you and your wife are in town, I am hoping we can connect. Our plans have not gelled yet but will let you know once we have a better fix! 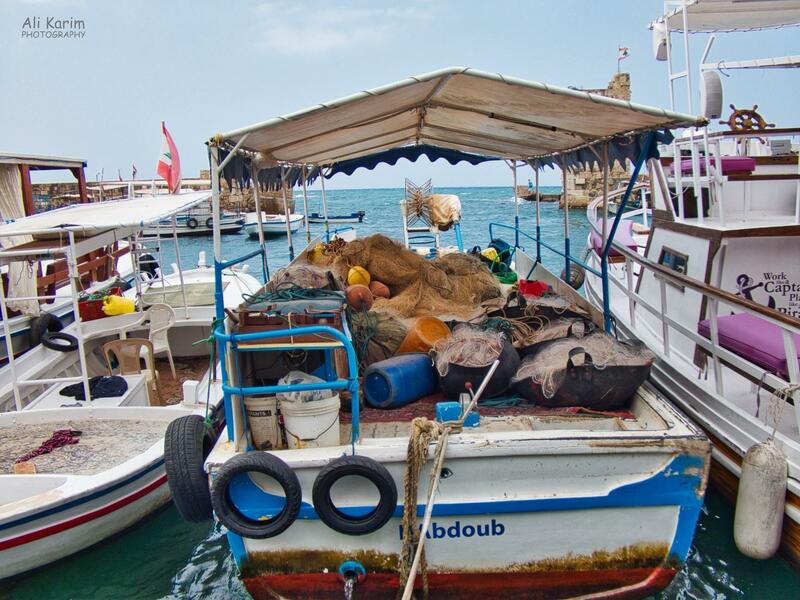 Hi Ali, enjoyed your “Beirut to Tripoli” blog and continuing journey in Lebanon. I had no idea that there is such a large city called Tripoli in Lebanon; for a minute I thought how are you going from Beirut to Tripoli (in Libya!). Thanks for beautiful photos. Looking forward to the Tripoli segment. The suspense of your Amex card story is killing me – may be your next blog will shed more light! With no fraudulent activity on the card – I am assuming it turned out all well. Hi Sudarshan, many thanks for the feedback, appreciate that. 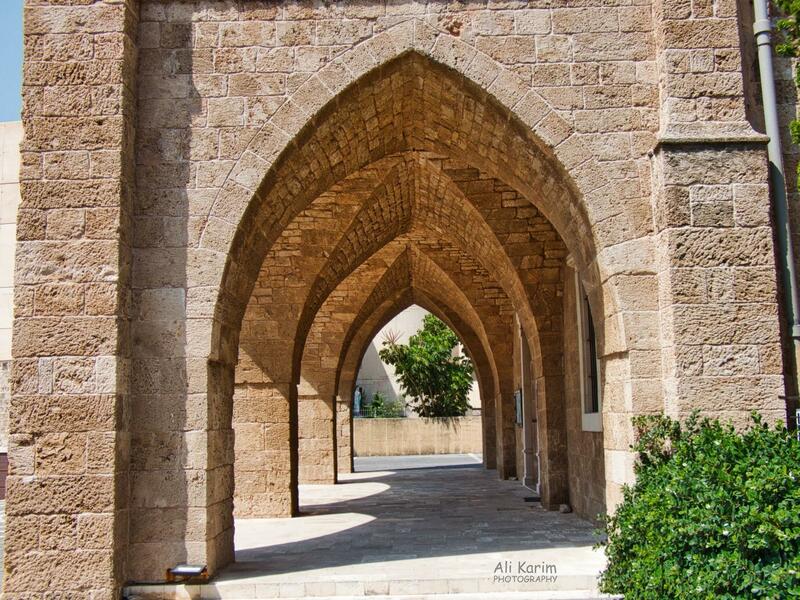 Next blogpost on Tripoli should come along soon. Thanks for staying with us while we travel. Hi Ali. Have always enjoyed your articles and excellent pictures. 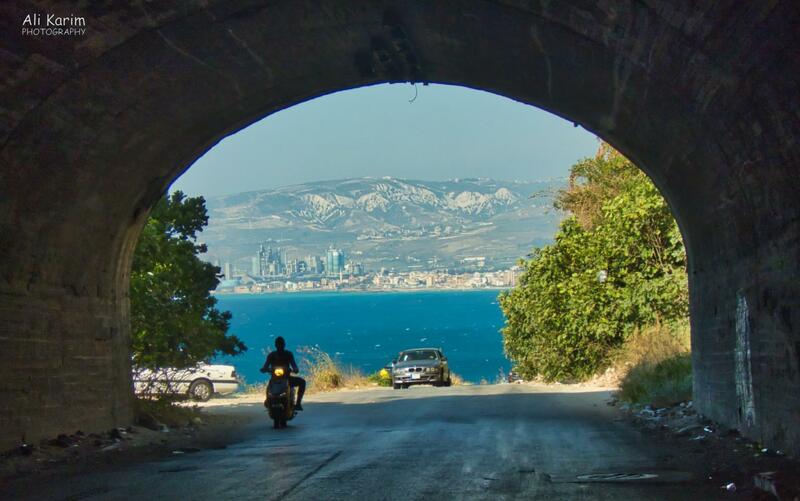 Beirut to Tripoli account was awesome even for a travel writer like me. Keep it up. When do you return to Canada? Meanwhile, happy traveling. 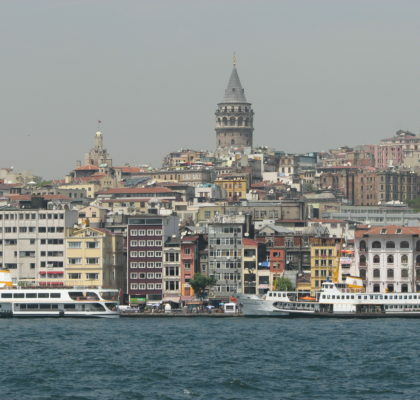 Hi Mansoor, thanks very much for the feedback; so glad you are enjoying my blogs. 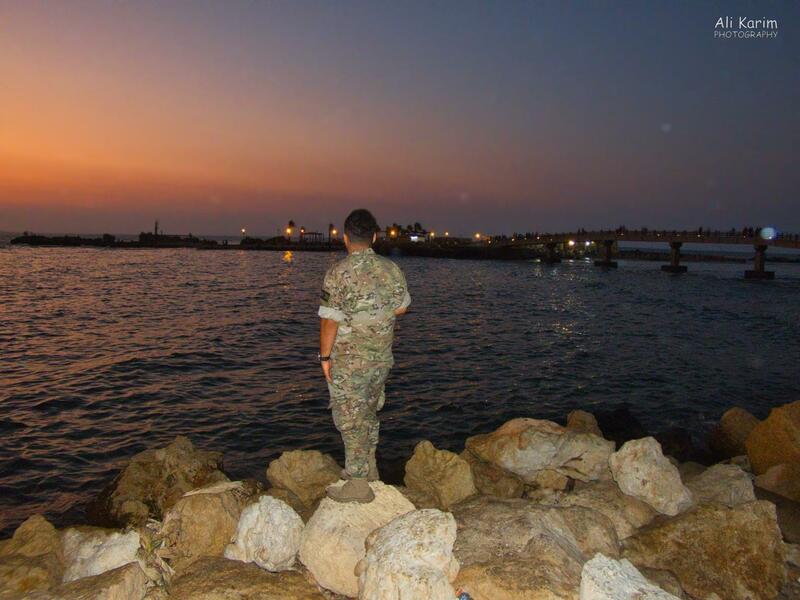 Loved every image….These images top all your Lebanon trip images.. Thanks Muslim, for the kind feedback. You covered a lot of ground in one day. 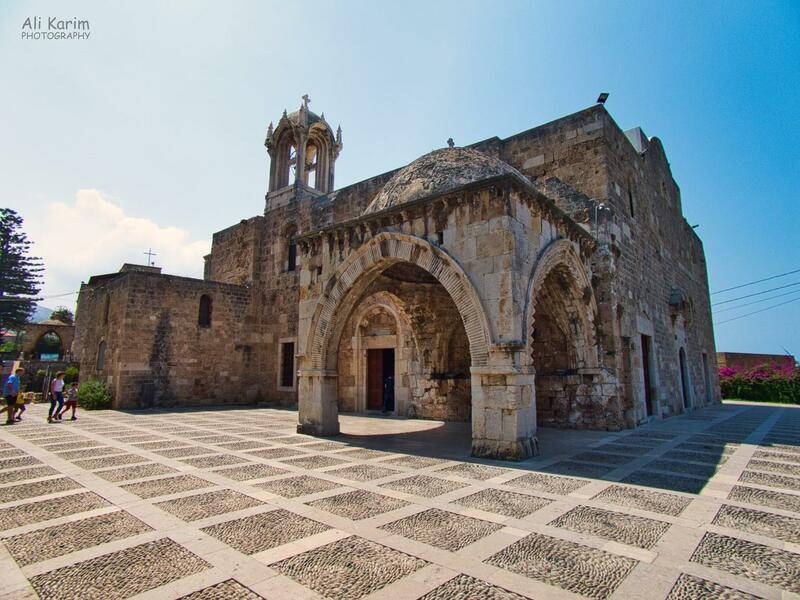 The story of the Maronites and the Ethiopian women is quite interesting.Byblos looks great. I bet staying at the convent must have been fun. The family of ten willing to share a meal with you is so amazing.Does not happen in USA. 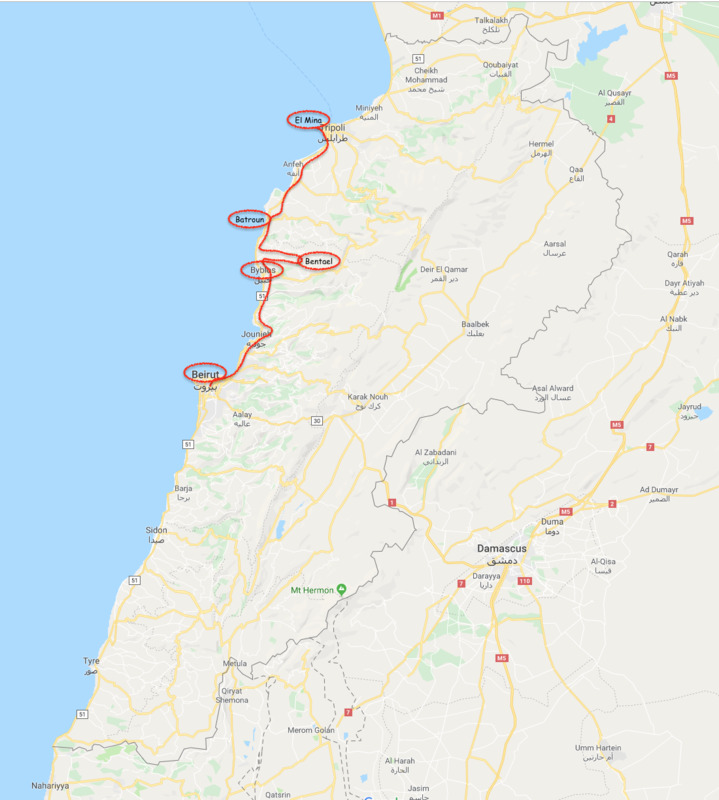 The distance from Beirut to Tripoli is not big; its only about 85 miles or so; so relatively short; so easy to do in one day, with several stops on the way. Hello Ali, beautiful pictures. I loved the dress of the girl in the picture. 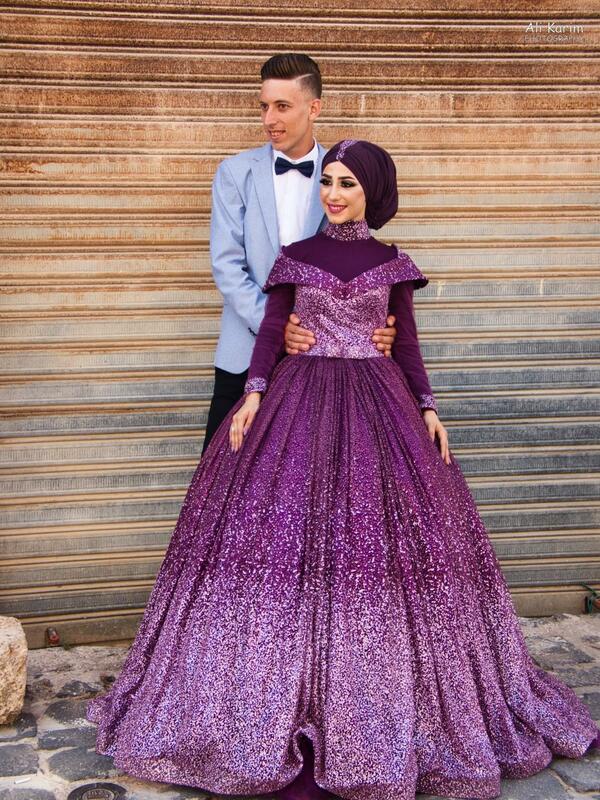 If this is before marriage dress, what would be the actual dress be like. Since when did you started hookah? Thank you for sharing your wonderful stories and experiences!! They are priceless :). So glad that you are enjoying my blogs. Greetings from Tajikistan. Wanted to thank you for sharing these beautiful pictures with me. Looking at them inspires me to travel and see those places,too !!! I never realized how beautiful Portugal is and how many places i missed to see !! 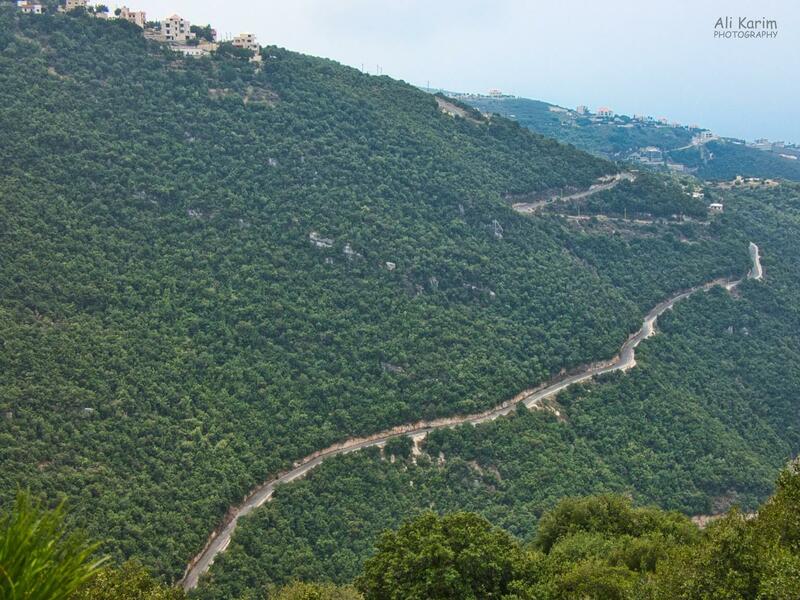 About Lebanon i never thought it is another amazing country that offers a lot to its guests. You are an amazing blogger Mr.Karim. Your pictures open a new world to people, including me :)). Wish you all the best on your interesting hobby and looking forward to see more beautiful pictures. 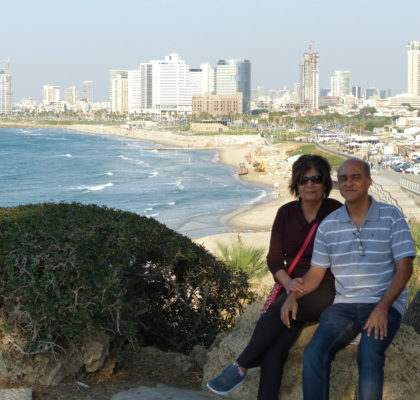 Hi Zamira, thanks for reading my blogs and for the beautiful comments; I am so glad that this is opening a new world and inspiring you to travel and see these countries for yourself. That is our goal with doing this blogging; and honest feedback like yours encourages us to do even more. I really appreciate that. Please keep the blogs coming. I am surprised you did not find it tough to drive. Excellent, enjoyed reading the podcast and the pictures. 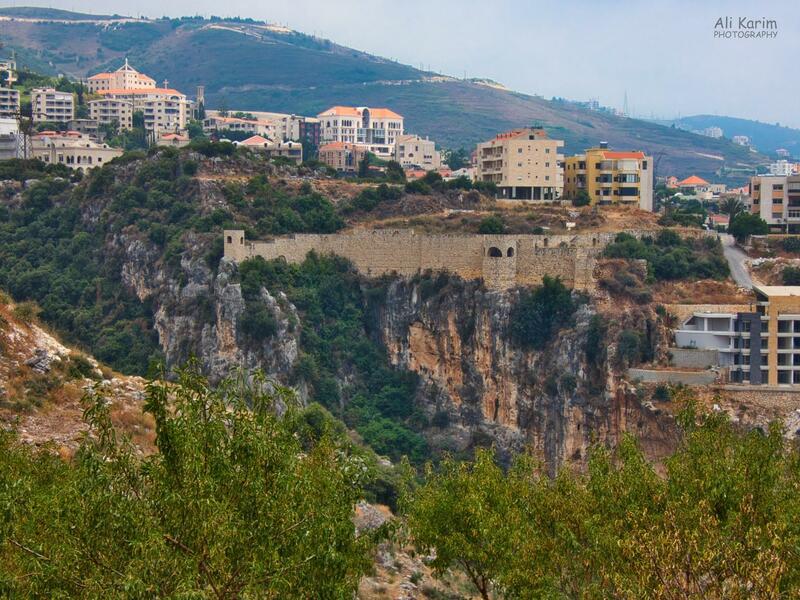 Beautiful places, both of you are so fortunate to have visited Lebanon. Thanks Peter, glad you enjoyed reading my post. Please do check out the others.